How Real Estate Agents Can Utilize Auction Companies | Wilson Auction & Realty Co, Ltd.
Wilson Auction & Realty Co. is a full-service auction and realty company with over 100 years of industry experience. Known for their superior customer service, Wilson Auction & Realty helps clients from a wide range of backgrounds and with a variety of needs buy and sell their assets. 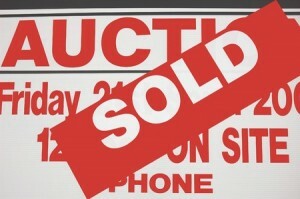 In today’s competitive world, more and more real estate is being sold using auctions. How can auction companies help real estate agents? Trying to sell homes and property involves marketing. Individuals and businesses may not know a home or piece of land is for sale if it is not marketed properly. Auctions, which are well-advertised and highly anticipated by buyers, represent a unique way for real estate agents to market (and sell) properties to qualified, motivated leads. First, there’s the simplicity of auctions, where homes are sold without contingencies. Buyers compete to “win” with their offers, knowing full well they’re buying a place as-is. Auctions speed up the process of selling a home, allowing it to be “settled” fairly quickly compared to traditional methods involving lots and lots of paperwork. Next, real estate agents appreciate the certainty auctions bring. Rather than show the house over and over to a number of potential buyers, spending weeks, if not months, of their time to try and woo a final buyer, agents can enjoy the immediacy that auctions bring to the process. Instead of a long, drawn-out timeframe “on the market,” auctions allow homes to be scheduled for sale on a certain, set date. Also, auctions involve multiple bids that are out in the open, such that competitors know who is willing to pay what for the house or property. This transparency creates a level playing field for all involved. The tactic of “another buyer may be interested” isn’t employed here– buyers don’t have to deal with rumors. Public real estate auctions work well for those involved because interested buyers all have an equal chance to bid at the same time and see who “wins.” As such, real estate agents are increasingly turning to auctions to market and sell properties. For more information, contact the experts at Wilson Auction & Realty Company today.